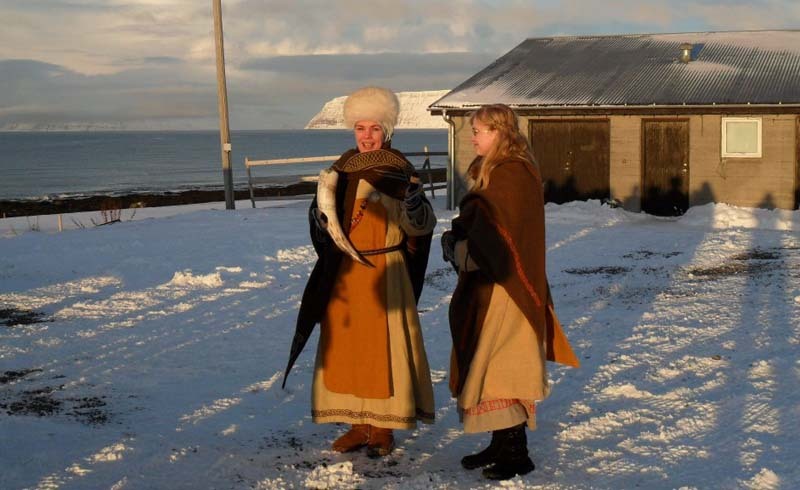 The midwinter feast Thorrablot in Iceland is held at any time during the month of Þorri, which begins on the first Friday after January 19th (the 13th week or 4th month of winter on the old Scandinavian calendar). Thorrablot is a north Germanic sacrificial celebration of a winter or weather spirit named Thorri and takes place only in Iceland. The celebration has its roots in culture and rituals of the Viking Age and was revived as recently as the 19th century. Today, Thorrablot is an important part of Iceland's culture. Thorrablot (in Icelandic: Þorrablót) takes place in the coldest dark days of the year, and it's interesting to keep in mind that many of the foods served are actually the smoked/pickled produce of the previous year. It is a Scandinavian tradition with lots of Viking history. The Thorrablot celebration starts with dinner. 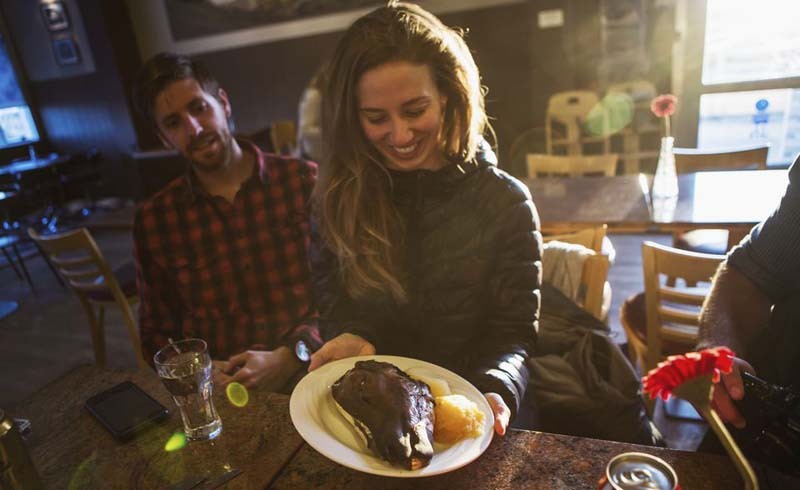 For the midwinter feast, Icelanders serve what was normal day-to-day food for Vikings, and turn back to nature-made food that is smoked, laid in mysa (a sour milk-product), salted, dried, or kaestur (rotting and setting meat). The things you can expect to see on your plate or on the buffet table include local dishes such as fermented shark, smoked lamb's meat, sour lamb breast, liver wurst and blood sausage, rye and flat breads, as well as dried fish. All of that is washed down with a shot of Brennivin (Iceland's strong schnapps). Typical Thorrablot food is called Thorramatur and is available in many Icelandic restaurants in January and early February. Keep in mind that Thorrablot fare isn't for queasy stomachs, though, and is usually not suitable for children due to the strange foods and alcohol. Enjoy it as an adults-only event. After the Thorrablot dinner, get ready for group games and old songs and stories, accompanied by Brennivin. It'll definitely get that rotten meat taste out of your mouth. Later in the evening, dances start and often continue until the early morning when Thorrablot celebrations draw to an end. If you want to find out more about Thorrablot dinners and special events during your stay in Iceland, your best option is to ask the reception desk at your hotel or to visit the local tourist office in Reykjavik to obtain event calendars and tickets (for ticketed events).